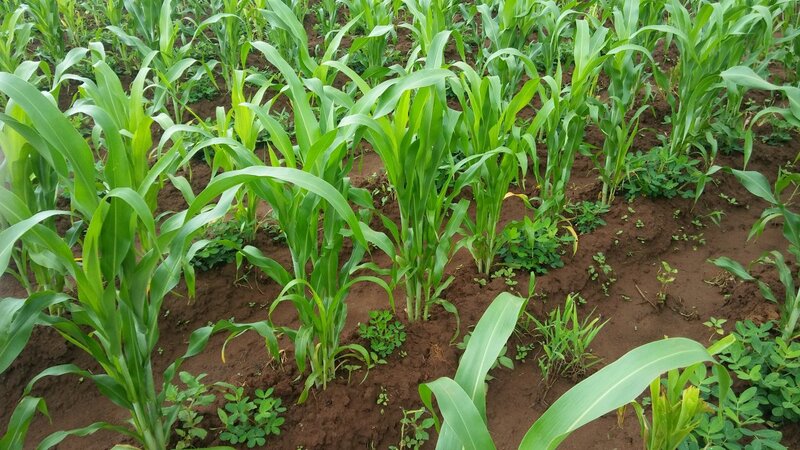 Maize-legume cropping systems practiced by InnovAfrica farmers. Photo: Mokhele Moeletsi. 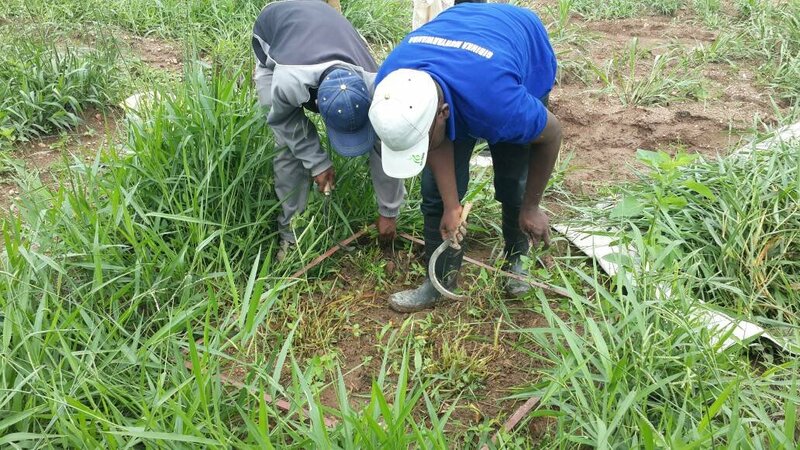 Innovative sustainable agriculture technologies are being introduced in six African countries, through the collaborative research project InnovAfrica. The project aims to improve sustainable food and nutrition security in Africa. Agriculture is the backbone of national economy and means of livelihood for many African countries. However, smallholder farms in Africa, which currently produce around 80 percent of the food, need to increase production by over 70 percent to feed the growing population and at the same time reduce the serious malnutrition challenges. This is the background for the research project InnovAfrica, which commenced in June 2017. This week, partners in the project met in Pretoria, South-Africa, to review the progress of the project so far. The third Consortium meeting, which was held 6-9th August, was jointly hosted by the Agricultural Research Council (ARC), NIBIO - the main project coordinator - and ILRI, the co-coordinator of the project. More than 50 participants representing 22 organizations from several African and European countries took part in the meeting. As part of the consortium, all work package leaders, case country managers and other partners shared the progress of work and experiences from the field visits as well as future plans. 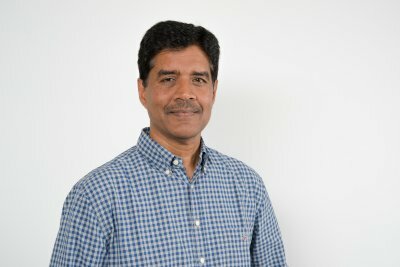 According to the project coordinator, Dr. Sekhar Nagothu from NIBIO, InnovAfrica’s main goal is to address food and nutritional security through improving smallholder adaptive capacity. Introducing innovative sustainable agriculture technologies in six African countries (Ethiopia, Rwanda, Kenya, Tanzania, Malawi and South Africa), the project works closely with smallholders including women and youth at the local level and stakeholders at the national and Pan African level, in cooperation with the relevant partners in Europe. InnovAfrica is testing, integrating, and disseminating potential sustainable agriculture intensification systems suitable to smallholders, as well as institutional approaches - e.g. Multi Actor Platforms and integrated seed delivery systems - and extension and advisory services supported by smart phones and Village Knowledge Centres. The interventions have significant potential to reduce the constraints and increase smallholders’ adaptability, agricultural productivity, profitability and nutritional benefits, while reducing negative environmental impacts and enhance FNS and sustainable agriculture in Africa. Bracharia fodder grass harvesting in Machakos, Kenya. Photo: Donald Njarui. During the last six months the consortium have focused on analyzing the large dataset collected from 3800 farmers and focus group discussions in the six case countries. The results from the analyses have provided inputs to eight deliverables that included socio-economic review, gender mainstreaming and mapping agri-value chains. Speaking at the meeting, Ms. Dessy Choumelova, Counsellor for the EU Delegation to South Africa, acknowledged the InnovAfrica consortium for the good management and results achieved so far in the project. She also highlighted the importance of InnovAfrica, and the lessons it can offer to the policy and future EU-Africa cooperation. Third project consortium meeting in Pretoria, South Africa. Photo: Stephan Kunj. The project brings together 16 partners from Africa and Europe. Ethiopia, Kenya, Malawi, Rwanda, Tanzania and South Africa make out the case countries. The project runs from 2017-2021. InnovAfrica has a budget of 4.8 mill. Euro, which is funded by the EU under the Horizon2020 programme.